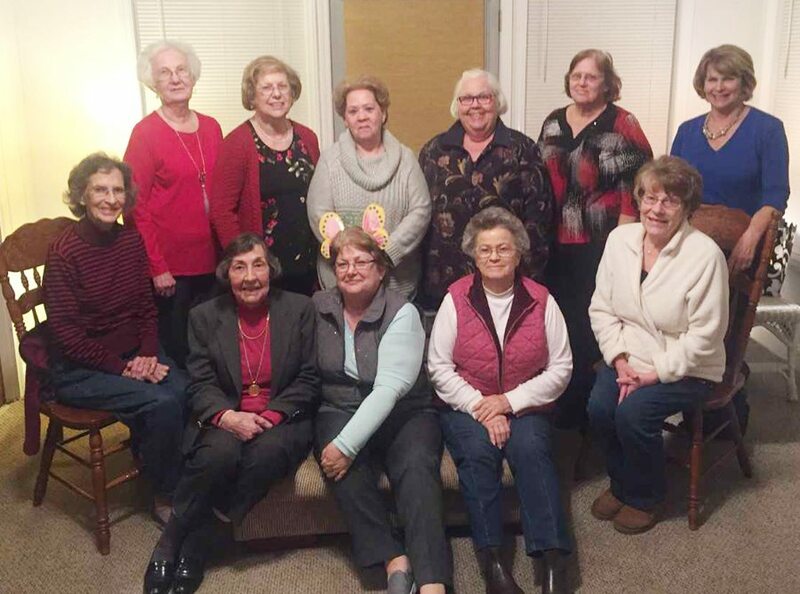 The Yellow Jessamine Garden Club met on Tuesday, March 6, 2018 at 6:30 p.m. at the residence of Darlene Wilkerson. There was 100% attendance. President Mary Ricks began the meeting with appreciation to Darlene Wilkerson for hosting March’s meeting. Chaplain Glenda Campbell opened with devotion on 1 Thessalonians 5:18- “Give thanks in all circumstances; for this is God’s will for you in Christ Jesus.” Glenda then said the blessing for our refreshments. Delicious refreshments consisted of chicken salad, wafer pudding, and cupcakes. The beautiful spring arrangement adorned the center of the table. Roll call was given by the answering of each member’s favorite butterfly. Monarch & Swallowtail butterflies were the most popular answers. Secretary Darlene Wilkerson read the minutes and they stood as read. Treasurer Judy Powell read the Treasurer’s report and stated the amount sent in to the “Feed the Birds” Project. Correspondence Chairman Mildred Mishue mentioned all the telephone calls had been made to remind members of the March meeting. Membership Chairman Larue Bracey, along with Mildred Mishue, revealed two potential members for candidacy. These two ladies will be sent a letter informing them of membership to The Yellow Jessamine Garden Club. Ways and Means Chairman, Mildred Mishue, visited J.P. Camp Roadside Park and cleaned trash and limbs. Projects and Litter Chairman, Dianne Pittman, set a workday to broadcast straw and mulch. Publicity Chairman, Melissa Moody, distributed the newsletter, “The Twining Vine.” She also gathered monies for ‘Feed the Birds” campaign. This campaign is sponsored by the GCSC President Donna Donnelly, to make a long-term impact on bird population, by educating members on how to make a transition from simply feeding birds to cultivating habitats. Horticulture Moments, an article in the YJGC newsletter, was also read by Melissa Moody. She shouted “Happy Birthday” to Darlene Wilkerson-March 10 and Mildred Mishue-March 29. The Birds report was read by Frances Tyler. She elaborated on ways to increase the bird population. By planting native bushes and trees and heeding the use of pesticides, birds will flourish. New business discussed was the Coastal District meeting on Wednesday, March 14, 2018 at Surf Golf and Beach Club in North Myrtle Beach. 11 members plan to attend this event entitled “Spread Your Wings.” Special thanks to the Sea Oats Garden Club, Yaupon Garden Club and Allyson Hirsh for hosting. 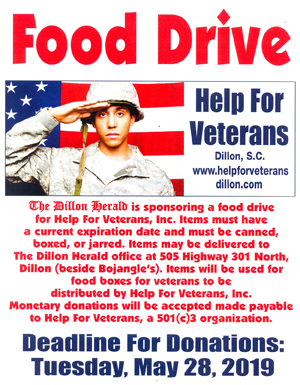 Also for the new business section of the meeting, The YJGC has a special surprise to bring to GCSC upcoming next week. Details will be in the next article!! 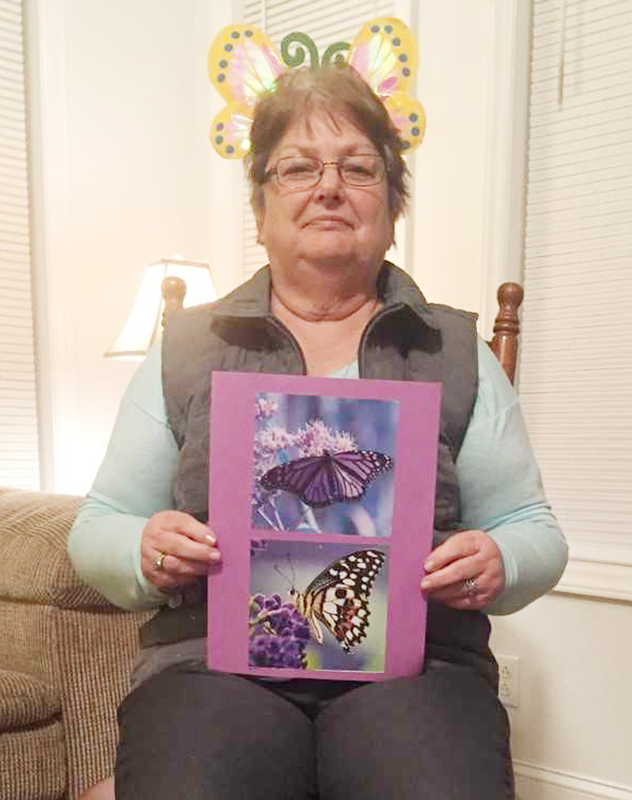 The program presented by Judy Powell, on butterflies, was exceptional (Objective: Encourage education). Judy displayed pictures and headers for each of the topics spoke upon. Butterflies come from the order Lepidoptera. (Moths included)These are vivid colored insects with two wings. Depending on the species, their patterns and color differ. From the egg to adult life, the butterfly transforms through metamorphosis. The female lays her eggs on a host plant. After hatching, the caterpillar begins to eat the plant. Then, the caterpillar finds the perfect spot to form a chrysalis or pupa. After a period of time, depending on the species, a beautiful butterfly emerges. Many varieties include Swallowtail, Monarch, Lycaenidae, Papilionoidea and Skipper. There are several ways to preserve the butterfly population. By planting milkweed, eliminating pesticides and creating a butterfly habitat, our ecosystem would strengthen. After the informative program, the meeting was then adjourned. The door prize was won by Frances Tyler. The Yellow Jessamine Garden Club is a member of the National Garden Club, Inc., South Atlantic Region, The Garden Club of South Carolina and the Coastal District of the Garden Club of South Carolina.